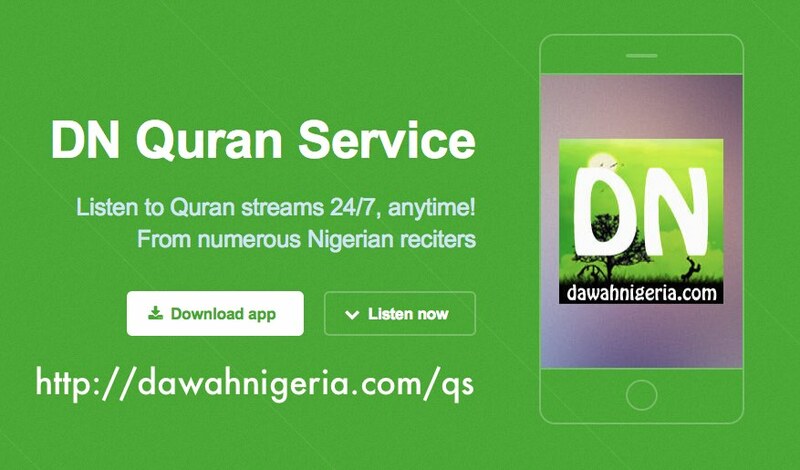 DAWAHNIGERIA has released the long-awaited DN Qur’an Service 24/7 portal & android app. Listen to Quran streams 24/7, anytime from over 20 online radio stations! Lots of wonderful never-heard-before voices from Nigerian reciters. I hereby introduce to you DN Qur'an Service. Don’t leave anyone out, send them The Qur’an as a gift. Pls share & gain Ajr in the da’wah process inshaa Allaah.